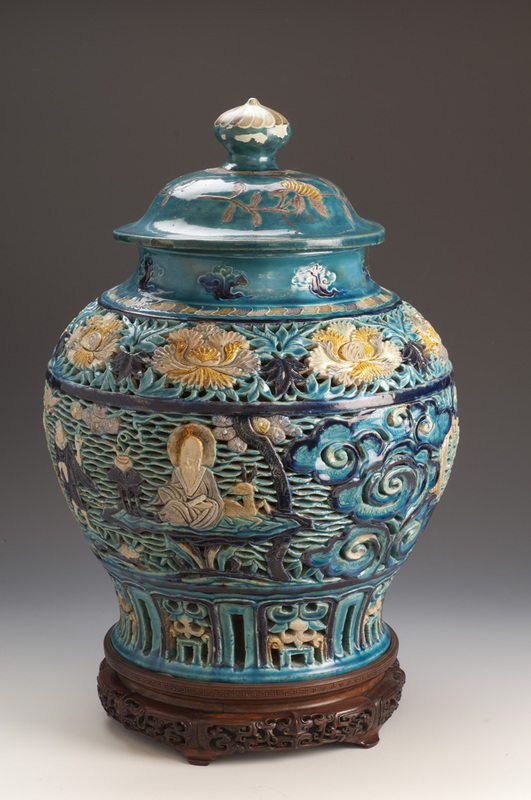 A Fa Hua baluster jar and cover with a pierced and carved central band of the eight Immortals and Shou Lou bordered with lappet at the spreading foot and a band of peony at the shoulder. The waisted neck is decorated with cloud sprays and the domed cover is molded with leafy flower sprays and a bud finial. It sits on a carved wood base.